Pandora was rescued 3 years ago in Southern WV. She was emaciated and in poor health. Since then she has been fully vetted- spayed- HW negative- Current on shots and Micro Chipped. She is an amazing girl- knows basic commands, great on leash, loves to swim- play ball and cuddle with her person. She is great with kids, strangers men and women. She is crate trained and house trained. She gets along with most dogs and could probably learn to coexist with cats but I would like to see her get adopted by a family- individual that is active with no other animals. Pandora does better with confident dogs that are equal in size or larger. 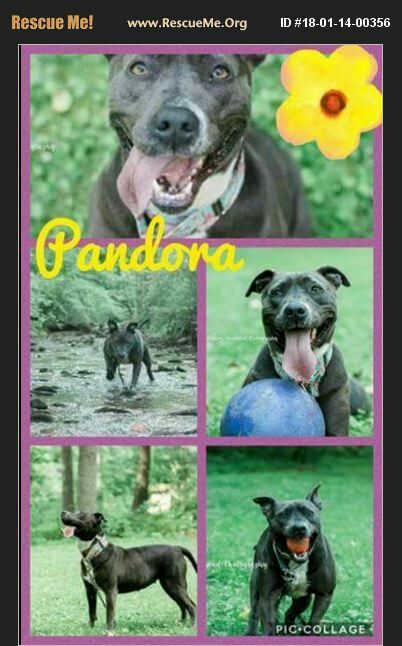 Transportation can be arranged to other areas outside of WV so if you are interested in adopting Pandora do not let distance hold you back. Adoption fee will cover updated shots - she is due in March 2018- Health Certification if traveling out of state and any transportation cost. Adopter must be willing to answer a few questions and allow a home visit prior to approval.